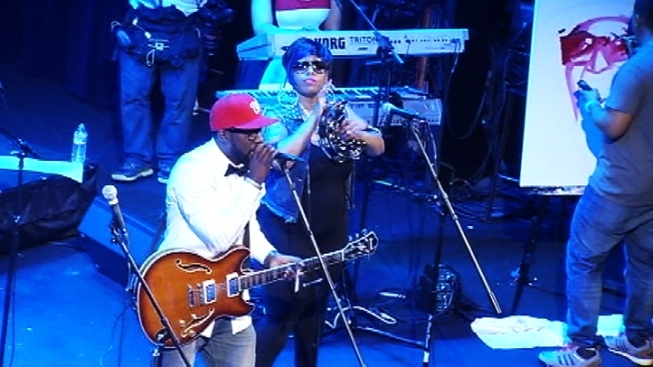 Crowds packed the Howard Theatre for a sold-out show honoring the life and music of "Godfather of Gogo" Chuck Brown Thursday night. It was the first anniversary of his death from pneumonia at age 75. More than 1,110 headed to T Street NW to see the Chuck Brown All Star Go-Go Tribute Band and other Go-Go superstars, including Sheila E and Rare Essence, and several of Brown's children (pictured below). Didn't attend, but still feel like "Bustin' Loose"? You'll have another chance Friday night. 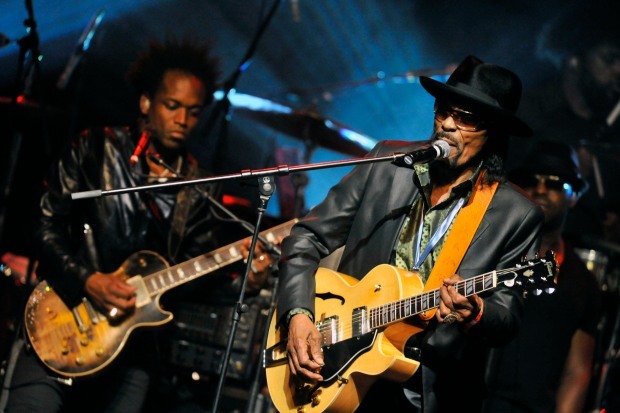 The Chuck Brown All Star Go-Go Tribute Band is having a second show, this time at Ram's Head Tavern in Annapolis at 8 p.m. Tickets are $30.